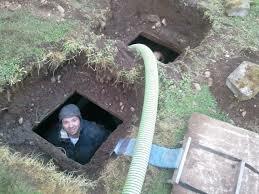 Need main sewer line repair or septic tank repair in NJ? Call us today at A1 Sewer & Drain Services, at 201-645-0888. 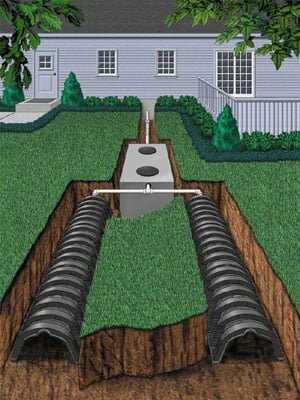 If you’re having problems with your sewer lateral or septic system, you need help from a NJ plumber who specializes in sewer repairs. Sewer pipes, septic pipes, septic tanks, and drainfields can break, leak, and corrode, causing underground water leaks, sewer backflow, and other problems. At A1 Sewer & Drain Services, our experienced NJ sewer plumbers specialize in effective, reliable sewer and septic system repair services in north NJ. Call us any time for same-day sewer, drain, and septic repair and replacement in Bergen County, Hudson County, Morris County, and nearby areas of NJ, at 201-645-0888. All of an area’s wastewater eventually makes its way to a sewage treatment plant. After water is used in your home, it flows through drains into your sewer lateral, a wastewater pipe that drains into the larger sewer main line under the street. While the sewer mains are municipal, and the city or town’s responsibility to repair, sewer lateral repairs and maintenance are your responsibility as a homeowner, as is the connection between the sewer lateral and the sewer main. For new sewer line installation or sewer line replacement, you may need a permit before the contractors begin work. There are also additional costs associated with sewer main connections. You may need to pay a sewer district connection fee to the city, which can be as low as $1500 or as high as $15000. There is also an application process in most areas, and a local plumber or contractor can help guide you through this process. 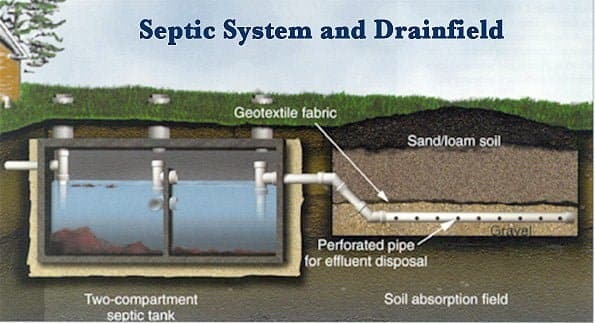 Many homeowners in rural or semi-rural areas use a septic system for waste disposal, especially in the absence of nearby sewer main lines. Septic tanks provide storage for waste, where it’s broken down by anaerobic bacteria. Liquid can be discharged into a drainfield, where aerobic bacteria continue to break down organic materials. 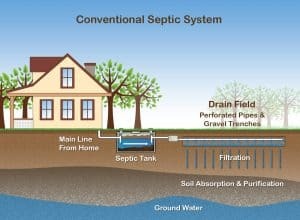 During septic tank installation for your property, plumbing contractors will need to connect the tank itself to your home’s drain pipes. The tank contains both inlet and outlet holes, and watertight connections are essential to prevent water infiltration from outside, which damages the system’s longevity. 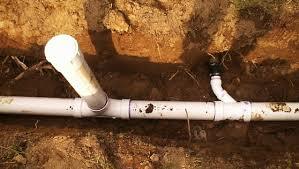 Installing the pipe from your home to the septic tank is quite similar to sewer line installation. As with sewer lines, it’s important to have an ideal drop per foot to ensure that solids and liquids flow at the same rate. It also requires open cut sewer excavation. Inside the trench, septic system installation contractors will generally lay a bed of gravel, which helps allow rainwater to drain properly. You need permits. 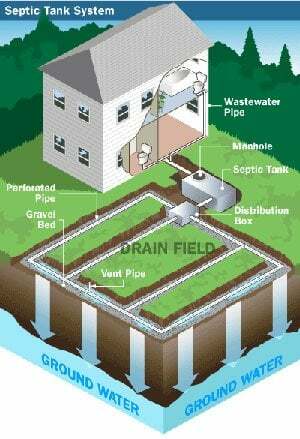 You will need to get a proper permit to install the septic system. This generally involves submitting a design plan, which can be put together by an experienced local plumber who understands the local terrain. You shouldn’t install the septic system too close to trees or large woody shrubs. Like sewer laterals, septic tanks and septic system pipes can quickly become overgrown with invasive roots.